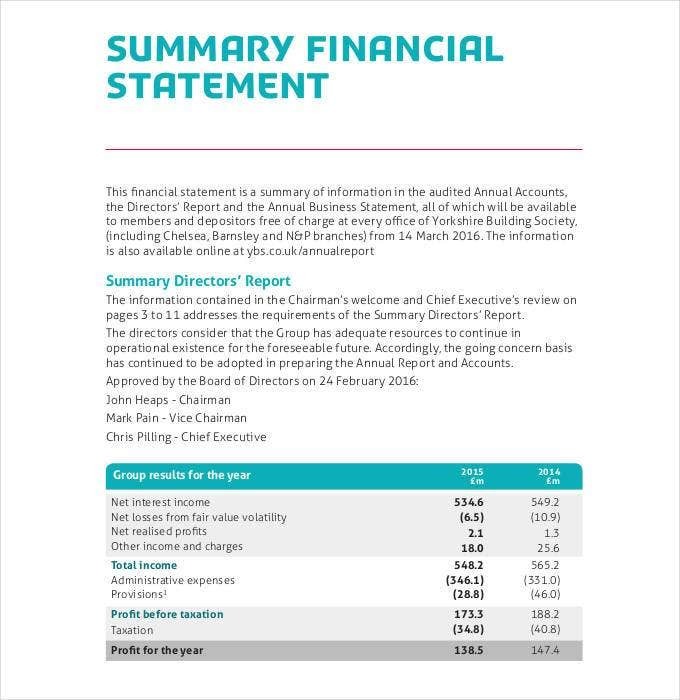 A financial statement is an important record, which shows the actual record of the financial activities of a company or business. Every business must prefer a financial statement at the end of each accounting period. This can be semi annually or annually, with annually being the exact and the most common period companies and businesses take to prepare their financial statement. You may also see Financial Projection Templates. 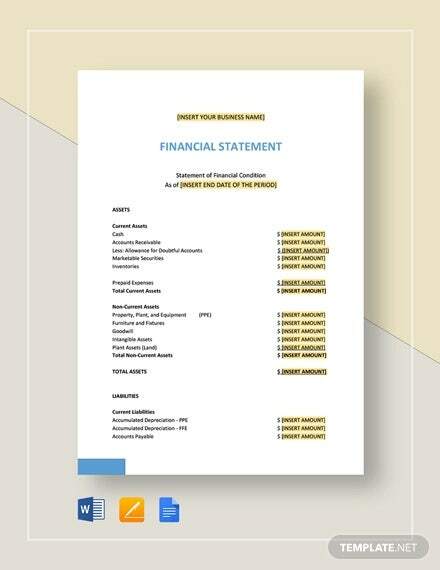 Every business needs a financial statement (business financial statement template), without which it becomes difficult to show the financial position of the company or business. 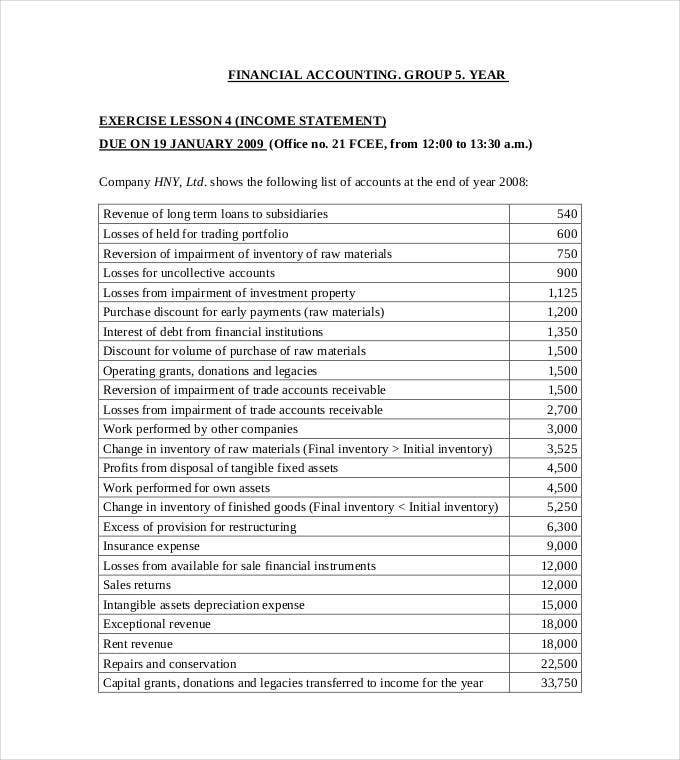 The common statements are the income statement samples, the balance sheet, the profit and loss account and the trading account. Once the business has the statement in place, it becomes easy to tell the financial position of the company or business within a given duration. 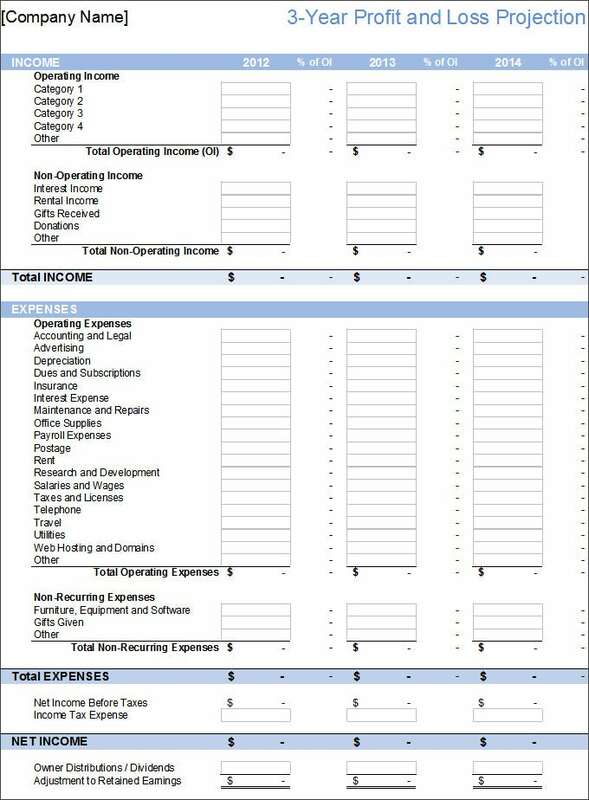 You may also see Financial Spreadsheet Template. 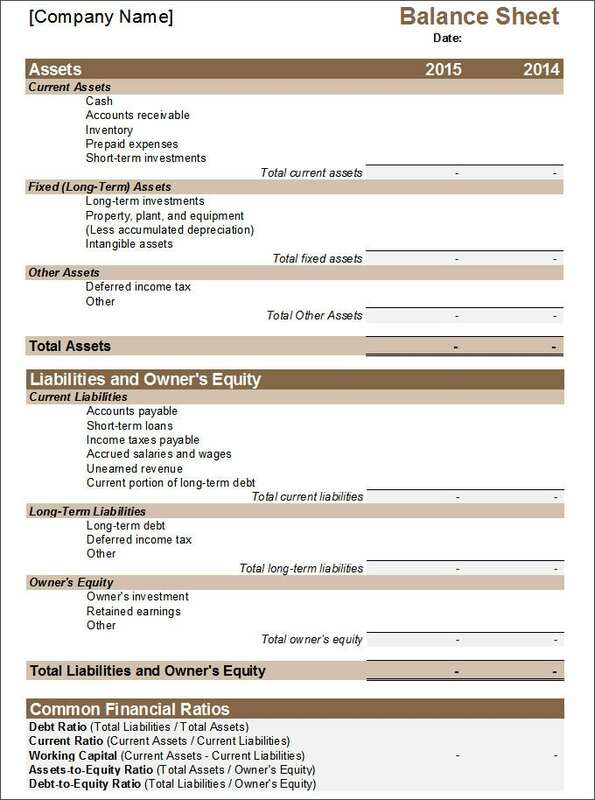 Financial Statement Templates is a common practice in organizations, companies, and non-profit firms. It helps to analyze and examine the actual worth of a company. Organizations prepare monthly, quarterly and yearly financial statements for both internal and external usage. Investors, government bodies, and stockholders get access to external reports while managers prepare an internal report for sales enhancement. 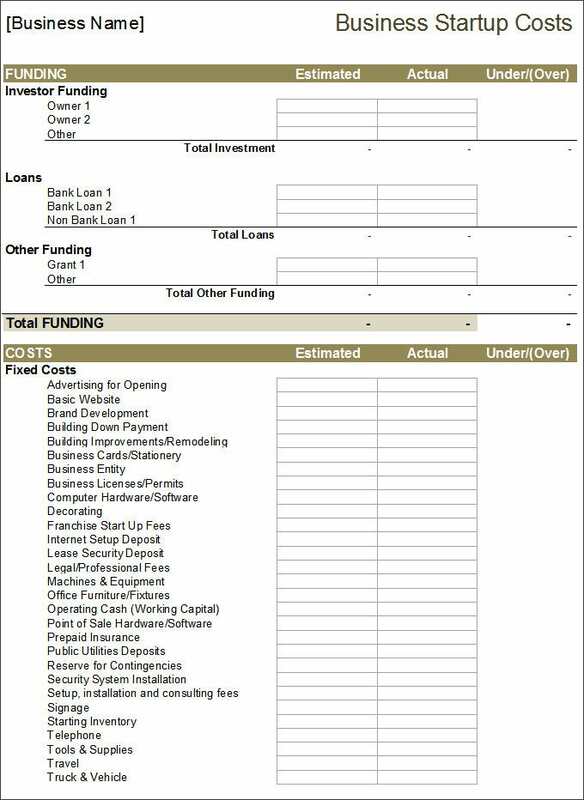 The template helps startups to manage financial statements. 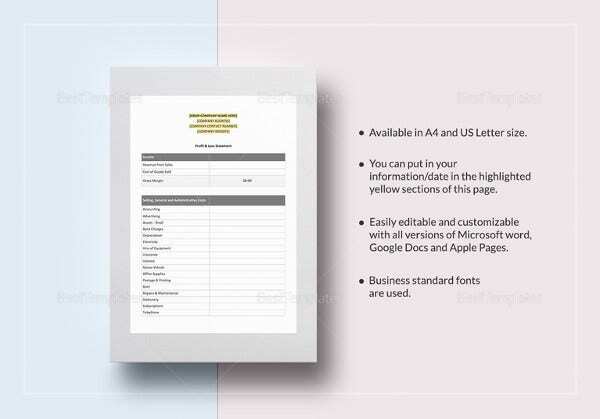 Write your business name in the heading section. The first partition consists of funding information generated by investors, loans, and other ways. 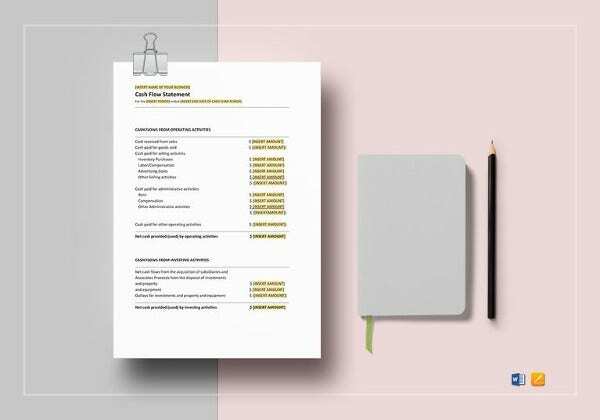 The second section involves budget estimation and investment on different activities like an advertisement, web development, brand building, business You may also see Bank Statement Templates. 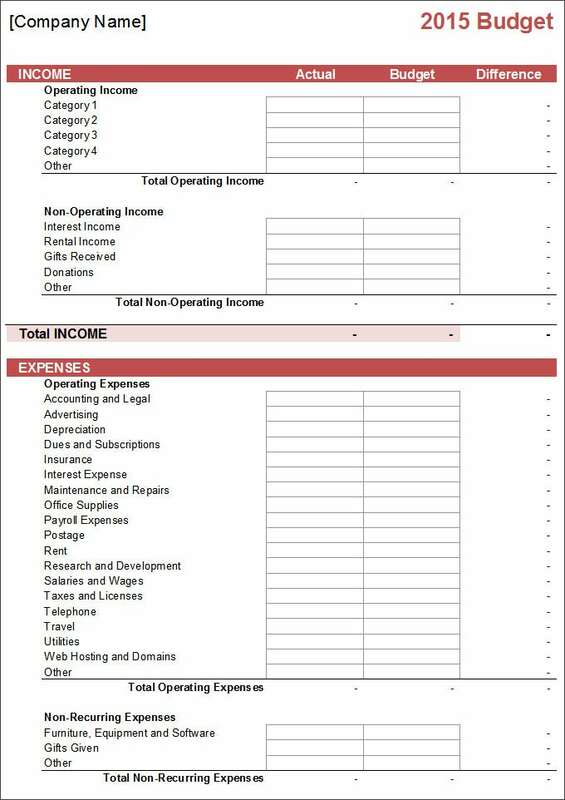 Financial income statement template covers financial information including revenue generation and expenses. 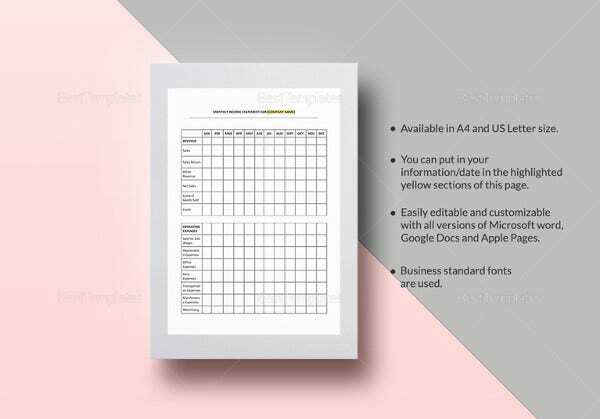 Customize the template and write company name, and time period in the upper section. The second section involves Revenue chart to feed sales, service, interest and other revenue data. It also covers information about income generated by discontinued operations in the given time period. 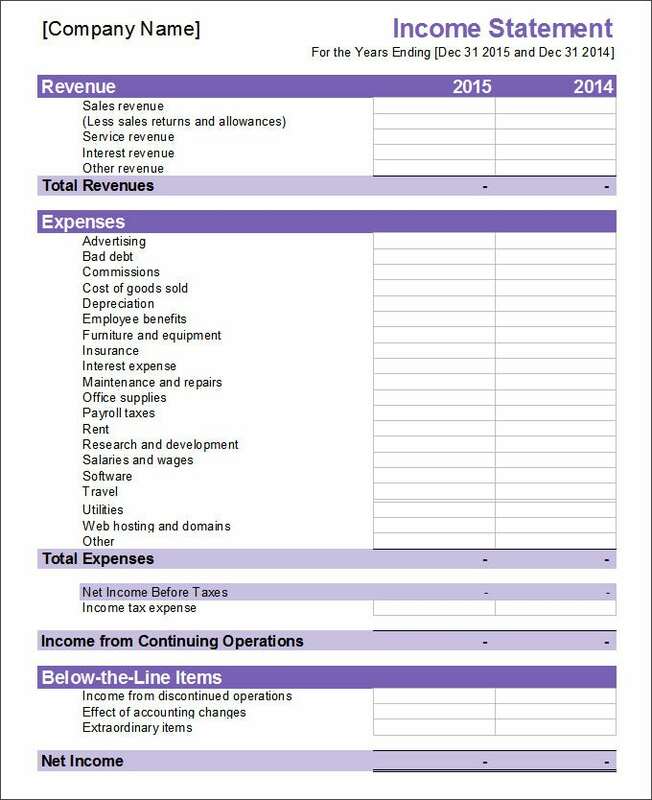 You may also check out here Income Statement Templates. 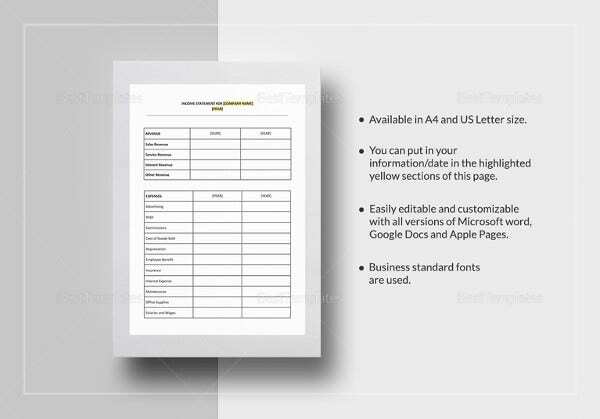 Free financial balance-sheet statement template is an excel sheet design. You can feed information including assets, funding and owner’s equity. It does not require any special skills for customization. Prebuilt categories enable people to fill data correctly. 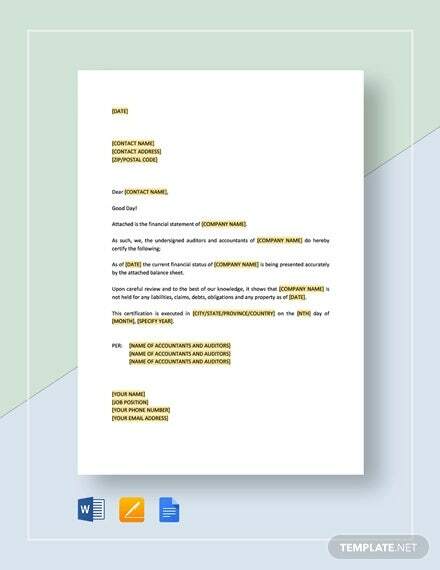 You may also see Legal Statement Templates. It is important to note that every statement, as mentioned above, must be prepared. 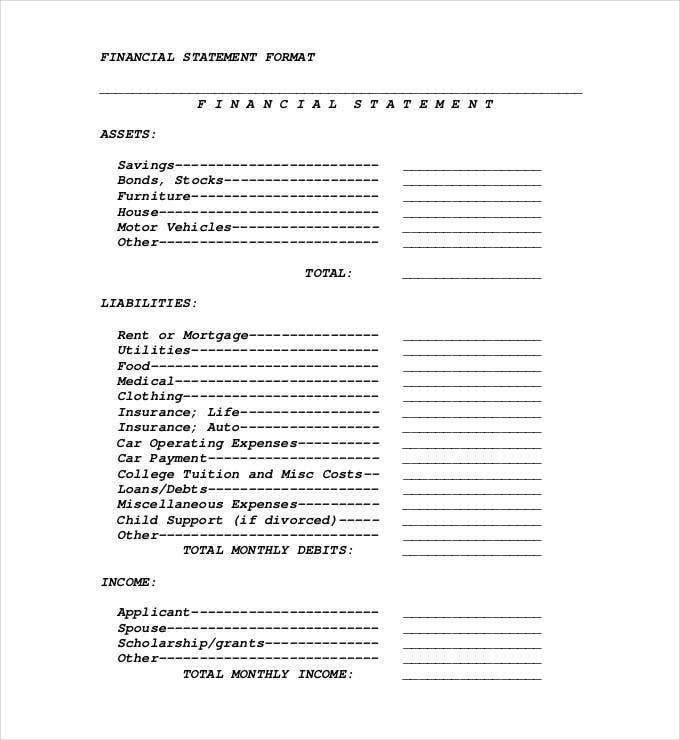 You cannot say you have an accurate financial statement in the case where you have left one of these out. It is important to keep accuracy in mind. 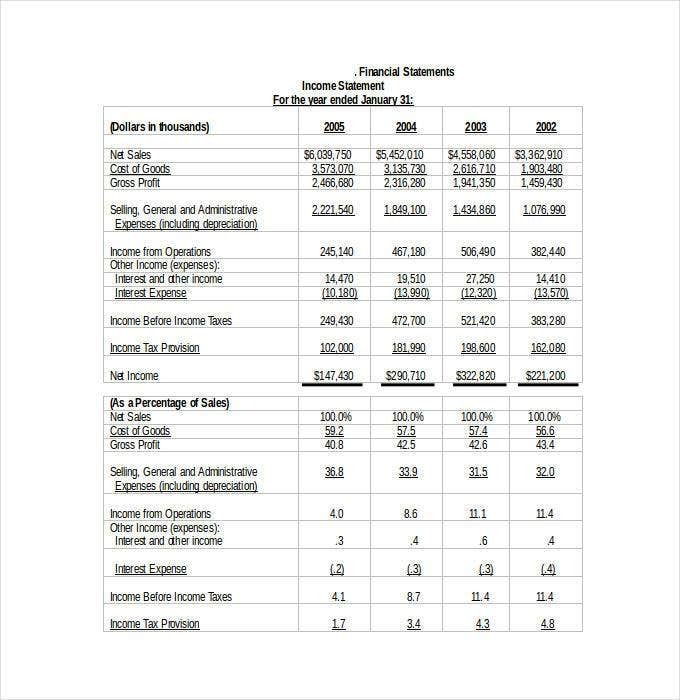 You may also see Financial Budget Plan Template. 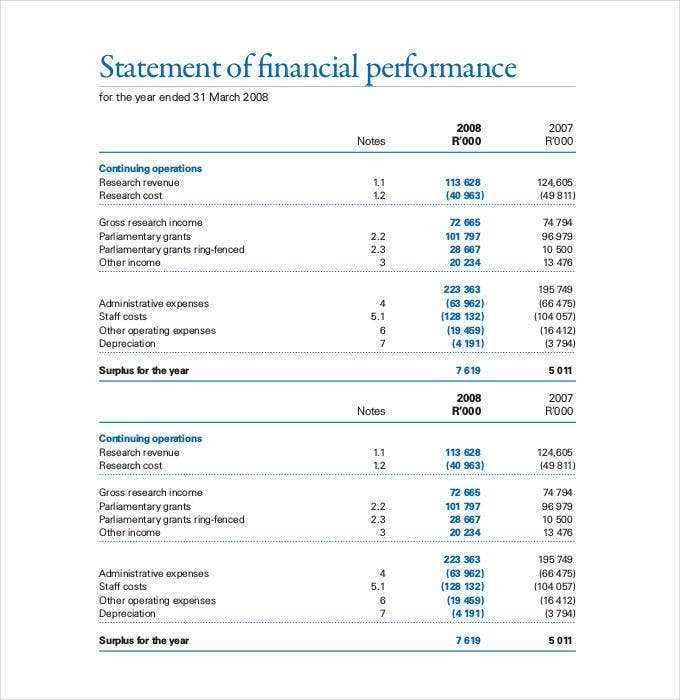 What do you Mean by Financial Statement Analysis? The analysis includes evaluation of the financial state and health, performance in the quarter or financial year, risk evaluation, mapping future plans for expansion and investments. A proper financial statement analysis reveals the shortcomings that deserve attention, the opportunities to capitalize on and alternatives for correct decision-making. 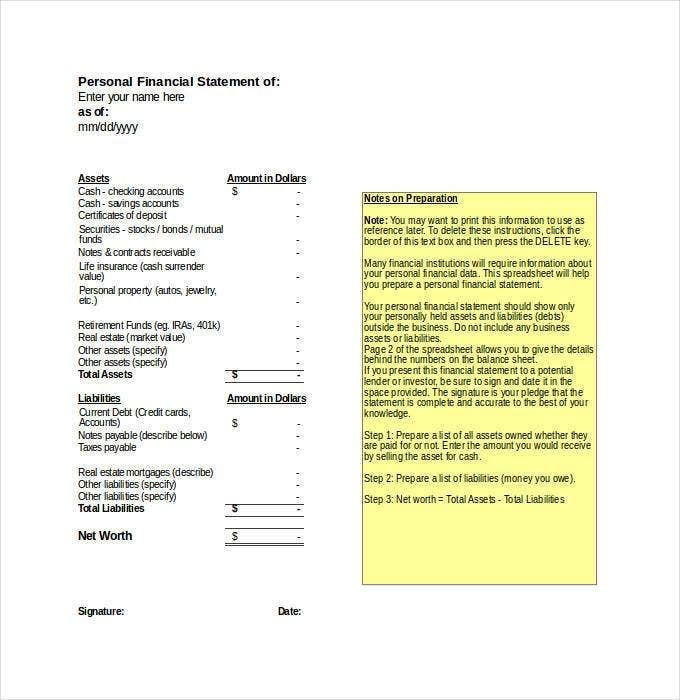 There are Personal Financial Statement Forms and templates available to do the analysis all by yourself. 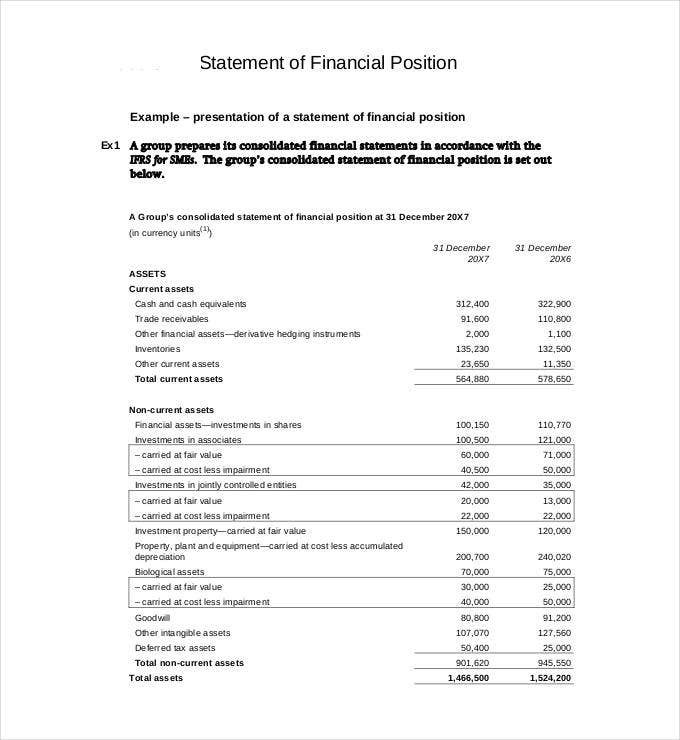 What is Meant by Consolidated Financial Statements? Group project planning is the other scenario where a consolidated financial statement is needed. 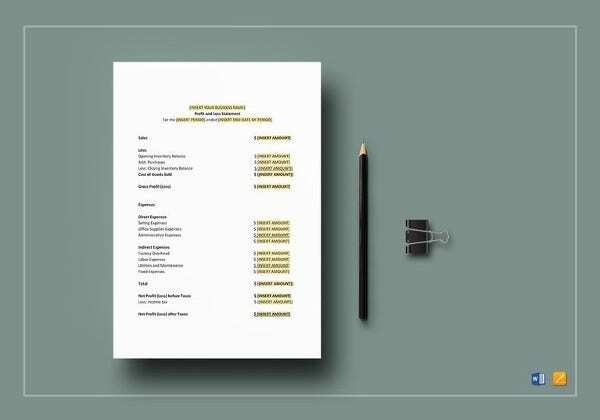 Before dividing a project among subsidiaries, companies use Financial Project Report Templates to formulated consolidated financial statement and provide the budget estimation to the clients. Whether it is preparing a personal or corporate financial statement, one requires following proper steps. The bigger the company, the complex is the process. One needs to prepare an income statement, cash flow statement, balance sheet, statement of equity holdings and other supplementary notes. 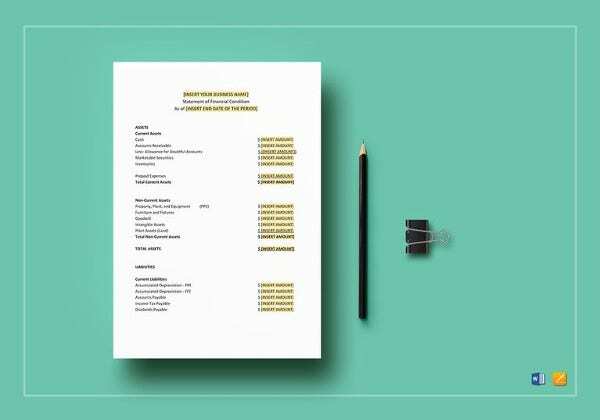 It is better to download professional and Personal Financial Statement Templates so that the process becoming easy and convenient. 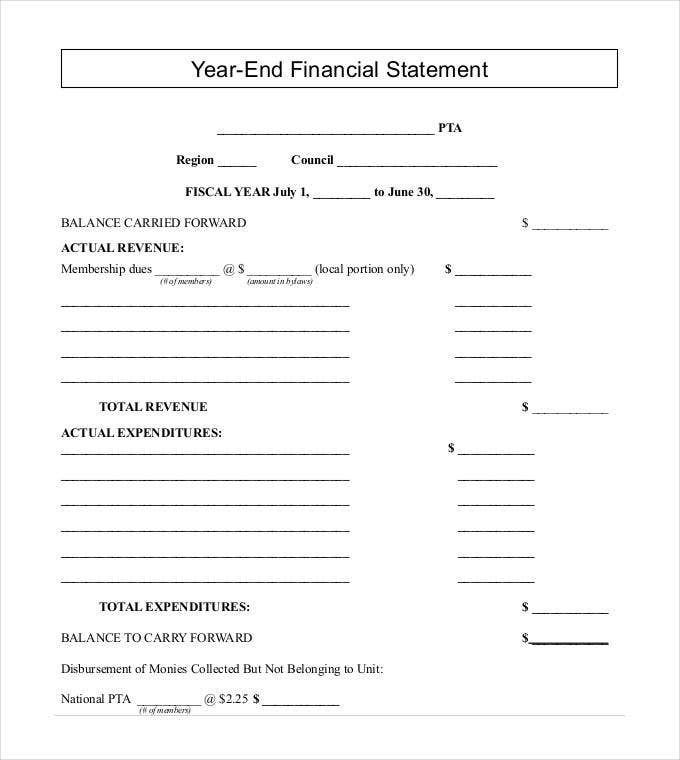 One needs to have all the bank statements, cash dealing forms, and receipts for paying dues and other expenditures. After that, segregation has to be made between assets and liabilities and what is left as equity. Both these sections have subparts that need to be addressed and filled with figures correctly. 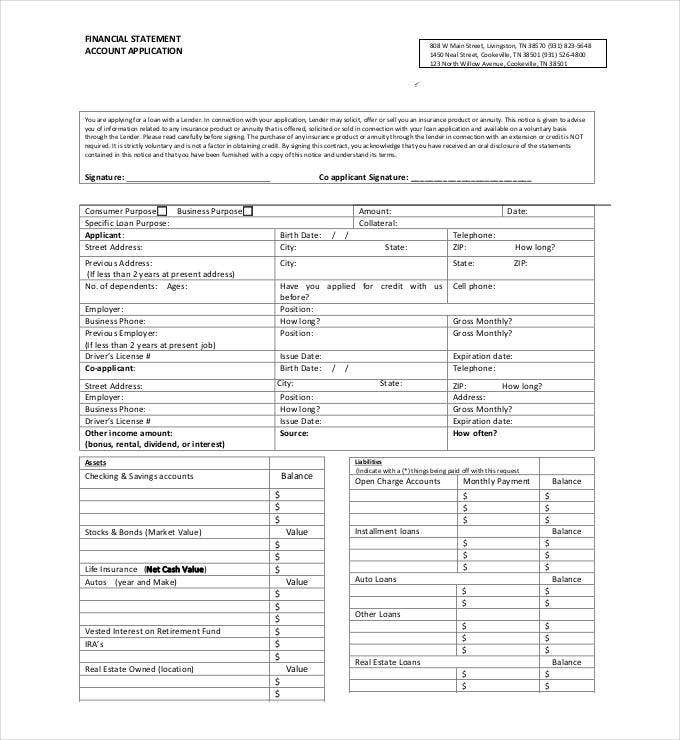 You may also see Sheet Examples. 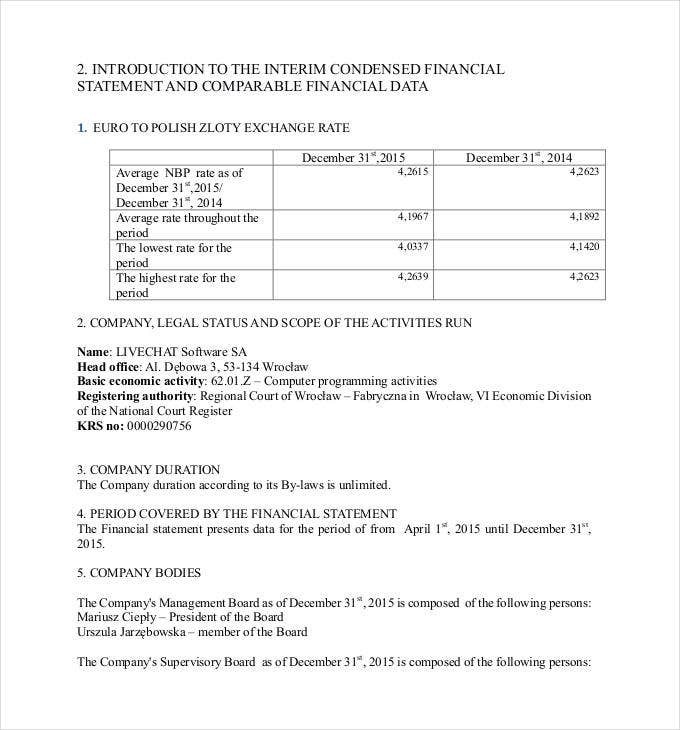 What is the use of Financial Statements? 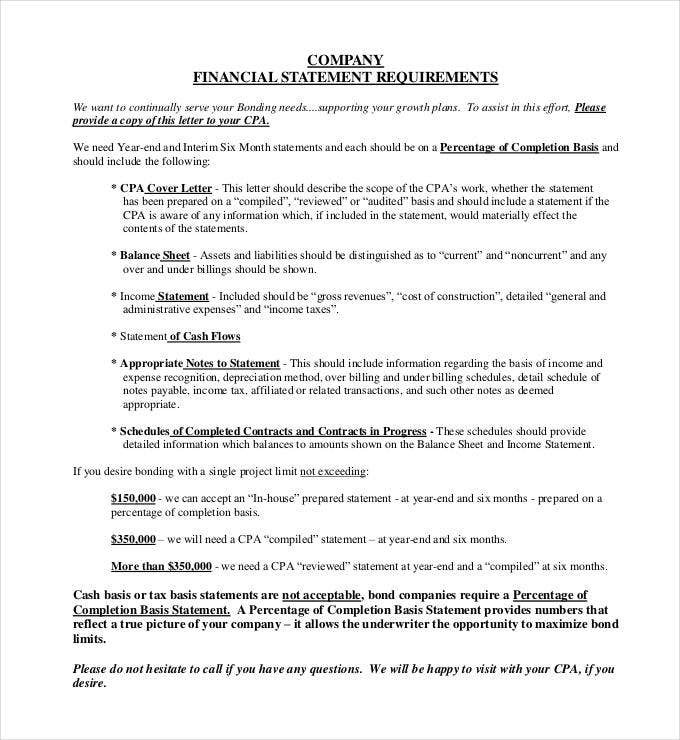 First of all, financial statements are necessary for filing income taxes. During income tax and other inspections, they come handy not to cause any panic. Secondly, companies present their financial statements to investors and stakeholders to invest more money and buy more stakes when needed. 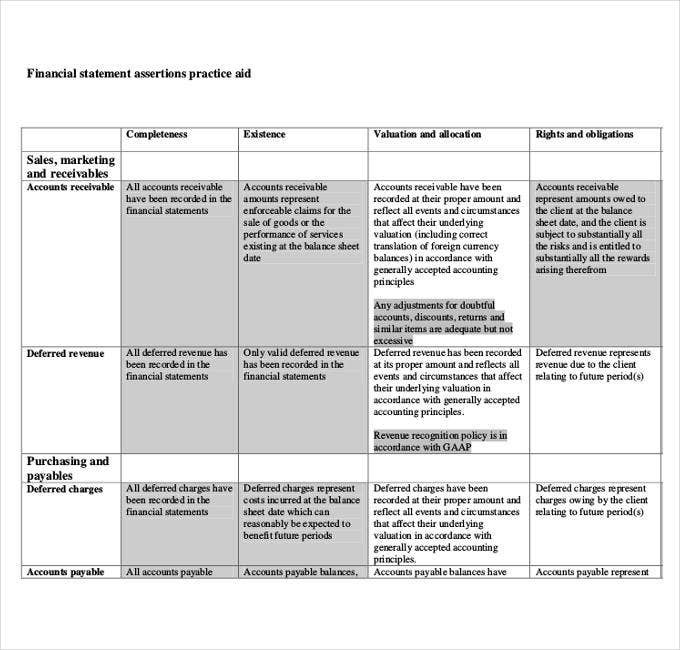 For that Financial Presentation Templates are available for convincing them easily. 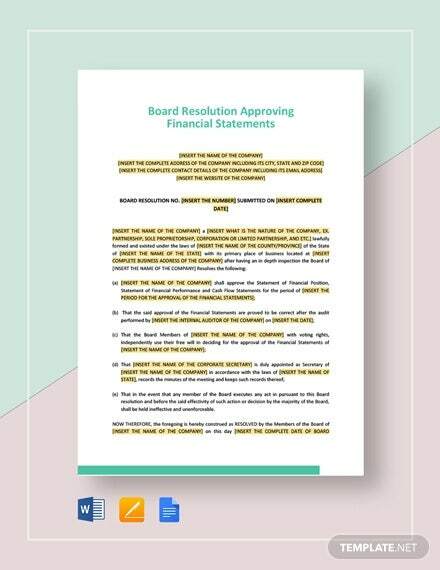 Furthermore, financial statements help the management to have a complete grip on every operation and prevent any misuse of monetary funds. Financial statement analysis can be done to understand risks and opportunities for expansion and further growth. Decision making would become so easy and effective. 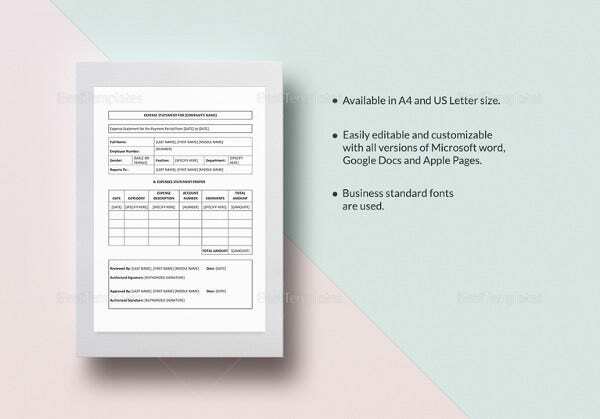 You may also see Sheet Templates in Word. 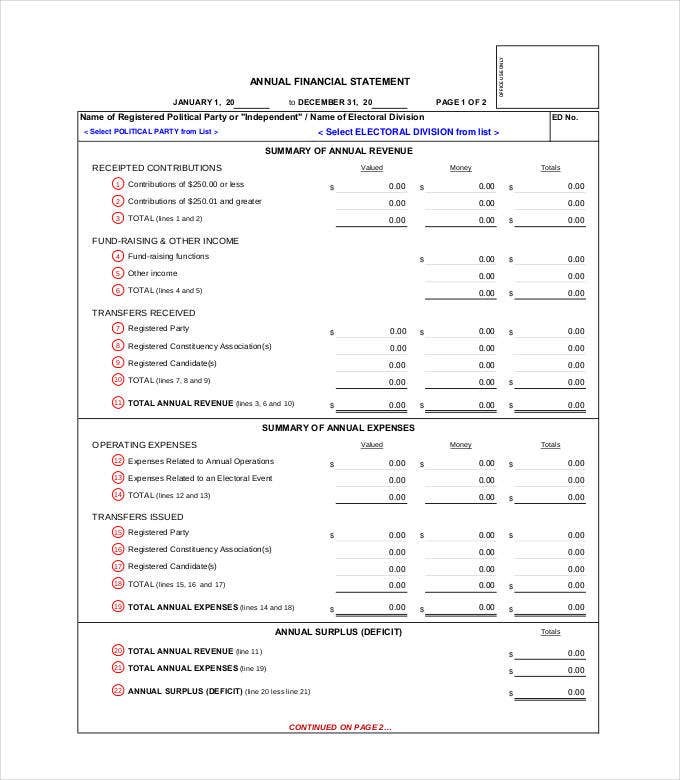 Our free Financial Statement Forms provide simple, fresh, and unique designs. 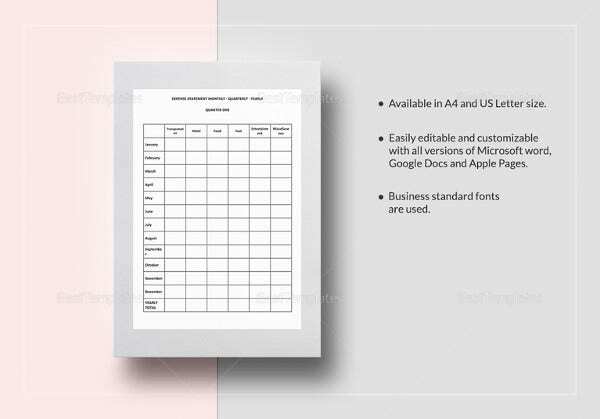 Get access to our free template and save both time and money. If you have any special requirement or need modification in the template then talks to us. We will modify it or design a fresh template.